18 November 2013 - A well balanced and intelligent period drama. Reginald Rose’s Twelve Angry Men makes its long awaited return to London some 60 years after it was originally written. The show premiered on Broadway in 2004 where it was nominated for a Tony Award. Twelve Angry Men was originally a teleplay written in 1954 and was adapted for the stage in the 60’s as well as famously being made into a film in 1957. The film version of Twelve Angry Men is considered to be one of the greatest films of all time. Set in New York, the plot centres on 12 jurors in a murder trial who are called on to deliberate whether or not a slum dwelling young boy is guilty of murdering his father. If the boy is found guilty he will be sentenced to death. None of the juror’s names are revealed, they are known solely by numbers and at the beginning of the production, all but “Juror 8” are unanimous in their verdict of guilty. Juror 8 feels he cannot sentence someone to death when he feels there is reasonable doubt about the boy’s involvement in the murder. As the case goes on Juror 8 tries to convince his peers of the boys innocence and it is soon revealed that many are not judging the case without prejudice. Soon other jurors are led to reconsider their verdict, leaving a rift among the group and encouraging the audience to ponder what the fate of the imprisoned boy will be. 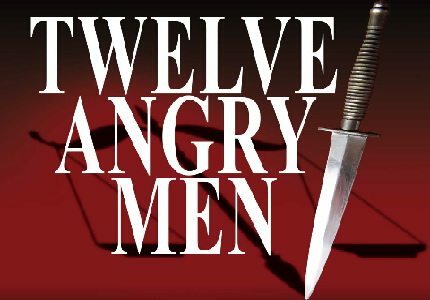 Twelve Angry Men is directed by Christopher Haydon and casing includes Robert Vaughn, Martin Shaw, Jeff Fahey and Nick Moran. Twelve Angry Men is about a murder trial and therefore it's content is not suitable for young children. There is also some explicit language in the show. Older teens are welcome if accompanied by an adult. Click here for the Garrick Theatre seating chart and seat price guide.